So if you read (or watched) my list of 25 Things To Do This Summer I mentioned that I want to read 'The Fault In Our stars' and the day before going to visit my grandparents I went and bought the book and I read through it in about 5-7 hours. I was hooked. But I gotta say that it wasn't what I had expected. I knew he was going to die but I didn't know how he granted her wish for her and all that stuff. I gotta say though I really enjoyed reading the book I was extremely annoyed at the people who have read the book and made such a big thing about "Maybe 'okay' will be our 'always'" and those things because I honestly felt that they didn't care about the other things (like how he granted his wish for her) and the "okay" part is, in my opinion, overrated and I feel like people forgot about what Hazel did for Augustus or what Hazel's mom did for her or how Hazel liked Augustus the most when he was just himself, and not trying to be romantic or something like that. I also hate how nobody seemed to remember Isaac and what he had to go through and no one mentions the line "Although it was his dream and not mine, I indulged it. He'd indulged mine, after all" because I think that one truly shows her love for him. Also, how come no one mentioned Hazel's thoughts right before kissing Augustus at the Anne Frank Museum and the fact that people applauded them? I'm truly disappointed in how people have seem to see this book. I personally liked it because of the little things, and what the families did for each other and what they did for their families and for each other. Not for all the romantic things, but for how they could just show each other love and understanding through the actions they did and the decisions they made. I don't know, maybe I've misunderstood everyone and it turns out that I'm not the only one who cares about these things and not the "okay" part. Also, I don't understand why he had to die? Like couldn't he just live with cancer, just like Hazel? But then again, this is not your normal romantic book with a happy ending though it did end in a fairly good way considering Augustus had died. All in all I loved the book in a way that I haven't loved a book that I've read in a long time and now I want to unread it just so I can experience it again. But I don't think I'll be going to watch the movie as I do fear that it won't be as good as the book. But let me know if I'm wrong and I'll consider watching it! 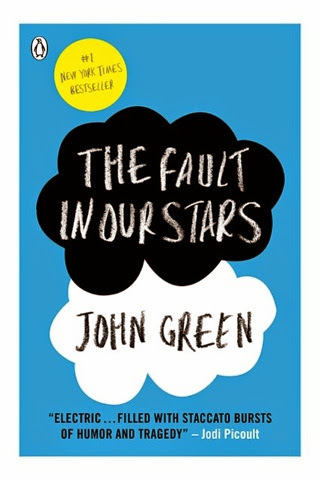 Have you read 'The Fault In Our Stars'? If so, what did you think of it? And are you going to go watch the movie? Or if you've seen it already, what did you think? Today I'm telling you my summer bucket list that Alfie made me do. If you wanna hear me explain why some of the things are on my list here's a video! Eat another flavour of icecream other than chocolate this time. What's on your Summer 2014 Bucket List? I've been staring at this blank non-filled post for over an hour trying to figure out what to write about and nothing has come to my mind. Absolutely nothing. So I'm now gonna make you a playlist of some my favorite youtube videos and then have you watch it all like the computer person I know you all are. If you guys want me to write about Miley's concert and maybe even upload some videos from the concert then please let me know and I'll do that!